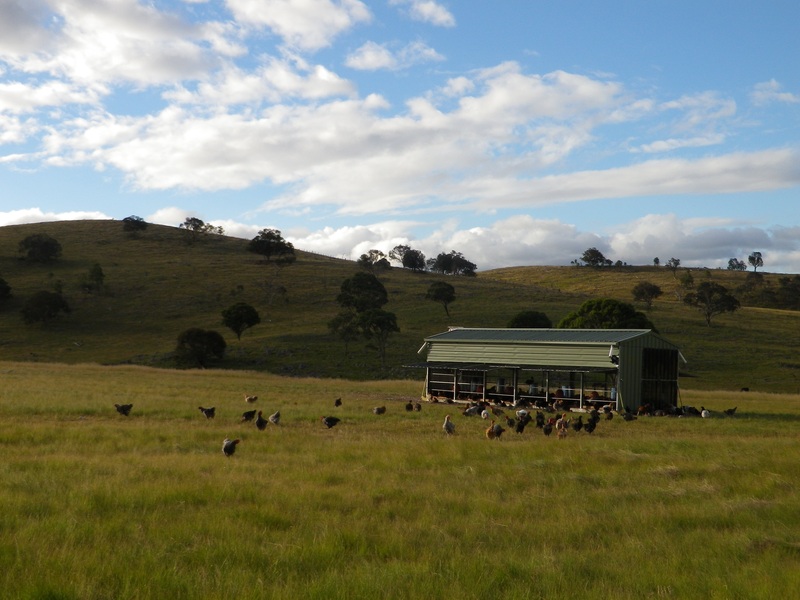 The majority of pastured egg producers use mobile housing of one sort or another to accommodate their free range layer hens. Producers need to be aware that the Model Code of Practice for the Welfare of Animals - Domestic Poultry, sets out the guidelines for the welfare of free range hens as well as caged or indoor reared birds. Just having birds roaming freely in their environment does not exclude you from being compliant with the Code. Whether you are building your own mobile hen houses or have opted for a ready made caravan or shed, there are some important clauses in the Code that you need to be aware of. Unfortunately, some newcomers to the industry assume that because they are purchasing a ready made unit that it will automatically be Code compliant and produced to meet industry best practice when this is not always the case. The Model Code is the minimum requirements for the welfare of your hens. The PROOF standards go a little further and address issues that cause concern, especially those that consumers care most about. You will find the PROOF Standards here..
2.4.2.3 Slats in flooring should not exceed a gap of 25mm to prevent damage to the feet and legs of the bird. 2.4.3.3 Perches should allow 15cm of space per hen. The space between the perches should be at least 30cm but not more than 1 metre. There should also be 20cm between the wall and a perch. 2.4.4.1 One single next box is needed for each 7 hens. When colony nests are used (continuous nesting box such as the type with egg collection conveyor belts) need at least 1 sq metre of space per 120 hens. 3.2 The stocking density will also depend on the type of housing and its capacity to maintain acceptable levels of temperature, humidity, air exchange, removal of noxious gases and lighting. 7.2.3 To prevent birds from overheating in hot weather, space must be available to facilitate body heat loss, such as panting, vibrating the floor of the mouth cavity ('gular flutter'), standing erect with wings held away from the body and raising of the scapular feathers. Caged, Barn, Free Range or Pastured? This is what indoor housing stocking densities look like at the maximum allowed under the Model Code of Practice (30kg of birds per sq metre). What you must understand is that these sheds also have mechanical ventilation, fans and extractors. Hen welfare would be seriously compromised without it. Do you lock your hens in a shed at night? How many birds are in the space available to them?